Ms. Bay wants you to enjoy our products for a long time. Therefore, we select the best materials, work with highly skilled craftsmen and design timeless pieces. But to make sure these qualities can be enjoyed by you to the fullest, you must take good care of your Ms. Bay! A leather product is sensitive to humidity, grease and temperature. For our advice on how to care for your Ms. Bay, please check our Product Care page. You can use any product designated for leather care, but we advise you to treat your Ms. Bay bag with either Nanex or Collonil Organic products. We have tested them vigorously and we love what they do! (If you are not familiar with salmon leather; don’t worry, it behaves very similar to conventional leather. Application: Shake well before use. Hold bottle upright and spray evenly over your leather item from about 20 cm distance. For optimal effect, repeat the application and give your handbag a second coating. Let your item dry before using or storing. 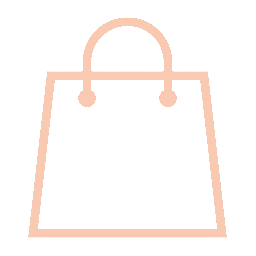 When using your handbag daily or often, treat your bag with Nanex every 3 months. Otherwise, every 6 months will do. Nanex is a young and innovative Belgian brand, focussing on the development of advanced nanotechnology formulas for eco-friendly textile and leather protection. Application: Shake well before use. Hold bottle upright and spray on a soft and clean (cotton) cloth using short, firm pumps. Distribute over the leather evenly. When applying on salmon leather, make sure to rub gently and in the direction of the scales to prevent from damaging them. Allow to soak in for a moment. For optimal effect, repeat the application a few times. Polish smooth leather and carefully wipe the excess off in the direction of the scales. Prevent scales from being flattened by wiping once against its direction. Application: Hold bottle upright and spray on a soft and clean (cotton) cloth at a distance of about 20 cm. Spread evenly over the leather. Dirt will loosen on it’s own. Use a clean and soft leather brush to remove the dirt and allow it to dry. Brush in opposite-scale direction to open up if necessary. Application: Shake before use. Hold bottle upright and sprayspray on a soft and clean (cotton) cloth at a distance of about 20 cm pressing firmly and briefly. Spread using a soft cloth and allow it to work in. Only suitable for smooth leather! Not to be used on open-scaled salmon leather as this product may close the scales, changing the appearance of your Ms. Bay item. Collonil is a premium German leather care brand. Their products combine highest possible efficacy with minimal environmental impact. The organic range that we offer, uses only natural ingredients such as natural waxes and oils. Similarly, their care products are water-based and therefore solvent-free.